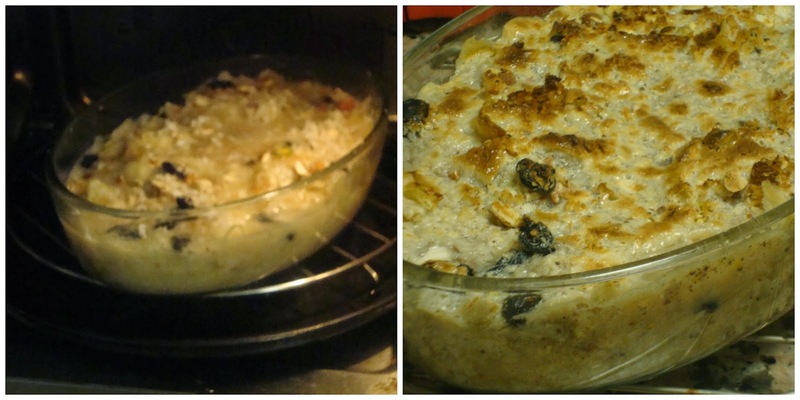 Hi friends, here is my Umm Ali - Egyptian Bread Pudding recipe for Home Baker's Challenge, administered by Priya. 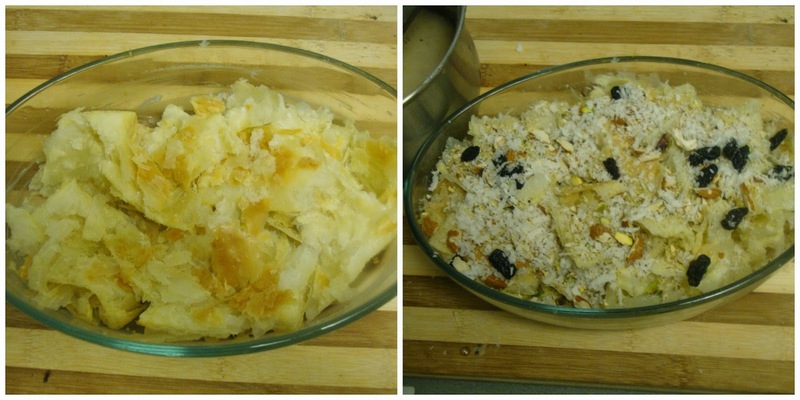 This month Rafeeda of The Big Sweet Tooth is hosting the event and she has selected recipes related to Arabic Bakes. 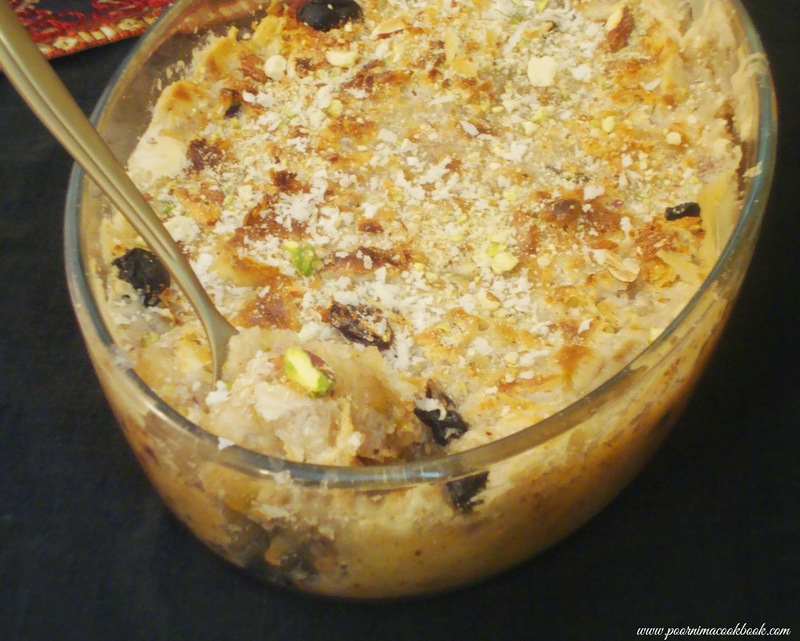 I preferred the rich and delicious dessert umm ali; and this recipe is adapted from Sukarah. 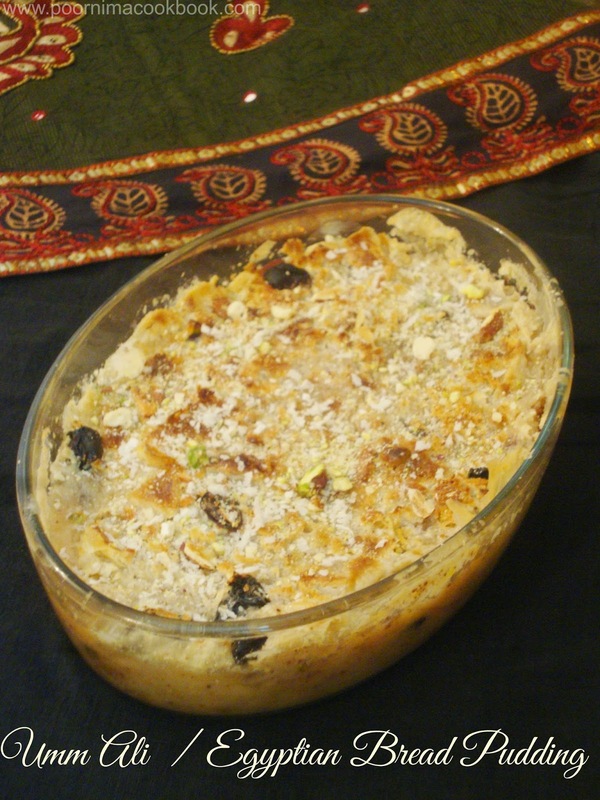 Umm Ali is an Egyptian version of baked bread pudding; made with puff pastry. In this recipe puff pastry is soaked in milk or cream and topped with nuts, raisins and coconuts. This dessert is rich in calories so have it moderation! To know more about Home Baker's Challenge click here. 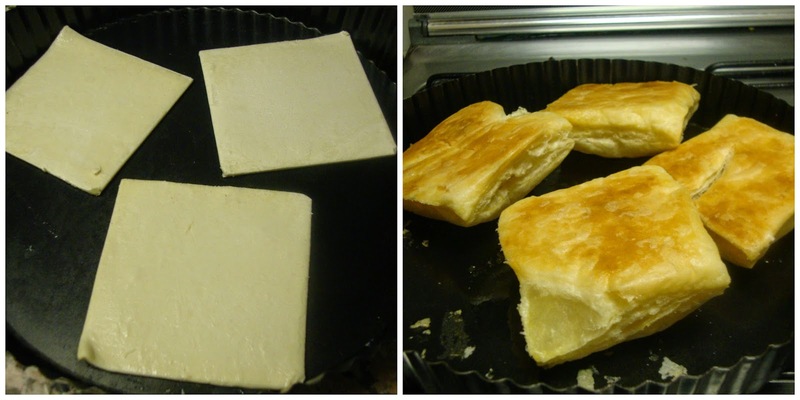 Thaw the frozen puff pastry. Preheat oven to 180 C.
Line the puff pastry on a non stick baking sheet. Brush with oil and bake in the oven for 15 minutes, or until golden. Remove the puff pastry from the baking sheet, into a wire rack to cool. 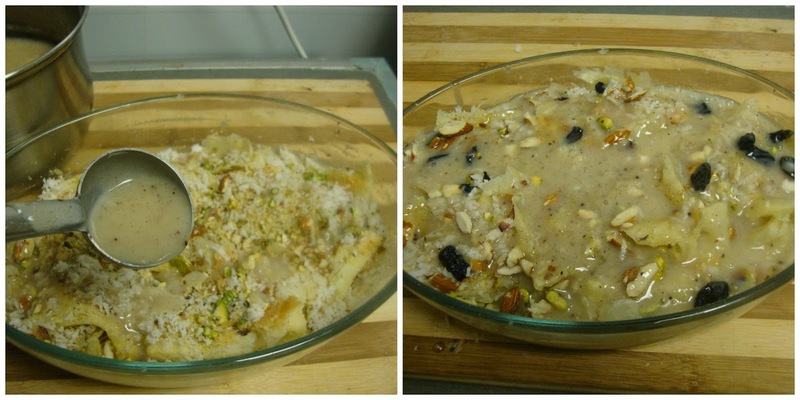 Place the almonds, pine, pistachio and cashews into the baking sheet and bake until the nuts are slightly roasted . Once done, remove the nuts from the oven, let cool. 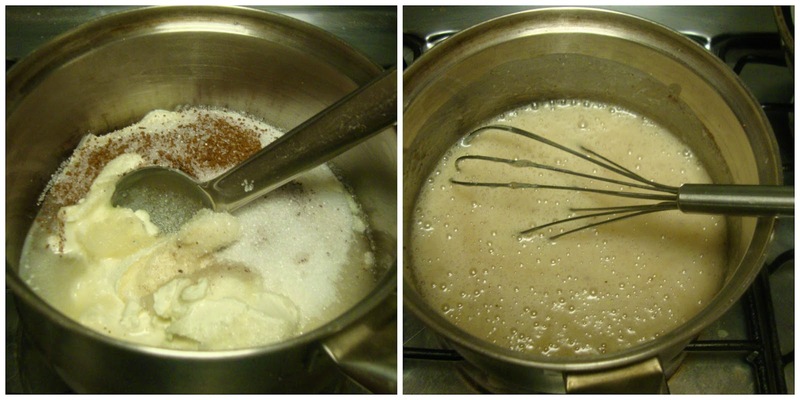 Meanwhile put the cream, sugar, cinnamon in a medium sauce pan, stir just until the sugar is dissolved. Don’t boil, remove from heat when its right below boiling point. Break the puff pastry into small pieces. Place enough puff pastry in the bowl to fill it half way. Sprinkle with sultanas, nuts and coconut. Pour some of the cream mixture on it, then fill the bowl with the rest of the puff pasty. Slowly add the remaining cream mixtire to cover the puff pastry. Sprinkle some coconut and nuts (reserve some nuts and coconuts for decoration). Bake in the preheated oven for 20 minutes, or until the liquid has been absorbed and the top is golden color. Cool for 10 minutes before serving. Serve warm, decorate with pistachios, coconut and nuts. For low fat version; you can use milk instead of cream. You can also try condensed milk with milk combination instead of using thick cream. Adjust the sugar level according to your taste bud. You can choose the amount / variety of nuts according to your preference. I can happily have some rite now, very delicious and definitely a fantabulous pudding.